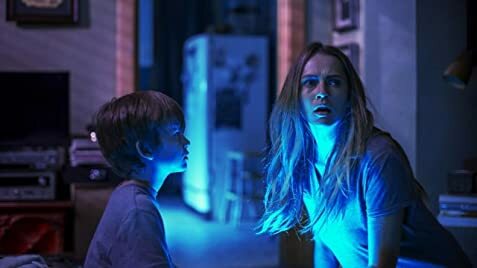 Lights Out, is quite possibly one of the most visually and mentally scary films in the last two years. The film is yet another in a string of horror movies that uses diseases as allegories for its premise, and this premise alone is genius. 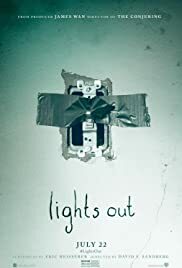 Lights Out is often unnerving and sometimes terrifying, dark in look and tone, without feeling recycled or derivative. The biggest strength of the film is that the story is constructed in a way that the audience is always wondering if something will happen. The most genius element of the film is the look of the creature that haunts this movie "Diana." Diana is an all-black figure that lurks in the dark, and kills whoever threatens it. That being said throughout this film the audience has to fear that this character could pop out of any dark space at any given time. At 81 minutes, not a single second is calm or peaceful, because the mere sight of sight of this creature is unnerving. However, the writers and crew deserve credit for conceiving the idea of the film having a lot of darkness in it. We often say lighting is a storytelling device, but in today's films it's become less true the more formulaic films get. In this film lighting is very much a storytelling device, and it is used perfectly. Every scene in this film contains, just the right amount of darkness and light, almost as if there are safe areas, and areas that characters should stay away from, and they're often changing. The dark look and tone of this film, create a very unnerving atmosphere, because one of the most common fears is a fear of the dark, and more notably a fear of the unknown, which exists in the dark. 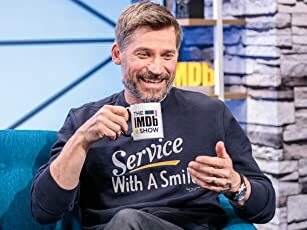 The film really hit a note with me personally, because I have had nightmares in the past about all dark figures living in the dark, so the film felt that much more personal to me. That being said, the film really doesn't feel all that derivative of other recent horror films. A few moments, and scenes did feel familiar (Diana as a child), but those were few and far between. Even those moments that are a little familiar, are constructed in a way that they are still very scary. The film does what The Babadook did a couple of years ago, and uses depression as an allegory for the creature in the film, which is turning into a very cool concept. The film is one of the few films within the system that uses lighting to tell the story, and does so in a way that is clever and terrifying at the same time. The film is admittedly dark, and relatively humorless, and not really for children, but that kinda goes without saying. For those horror buffs looking for a good scary movie, this may be your movie. 82 of 120 people found this review helpful. Was this review helpful to you?